The interior and exterior receive minor updates for 2011. VW also added classier features to the premium packages. Volkswagen hasn’t touched the mechanics because the Volkswagen GTI is one of the best driving sporty hatchbacks on the market. While it might not be perhaps as quick or even nimble as other sport hatchbacks, it does provide an overall superior driving experience. German engineering, after all. Available with a long list of options as standard equipment such as Bluetooth and satellite radio, the 2011 GTI, starting with a manufacturer’s suggested price of $28,875 however, isn’t best in class performance-wise. 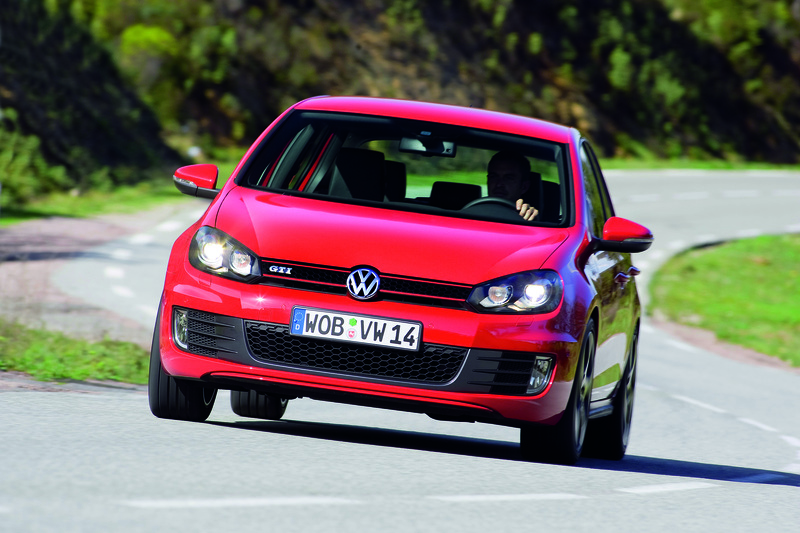 But unless consumers plan on drag racing, the GTI is near perfect for driving-enthusiasts. Available with optional 18” alloy wheels and low-profile performance tires, coupled with the ever-reliable 2.0 TSI, 200hp, 6-speed manual or optional 6-speed automatic DSG with Tiptronic® and all tied into dual chrome exhaust pipes, this is one serious vehicle for the driver that wants to make a statement; looking cool but being a little eco-minded, too. It is still a turbocharged 4-cylinder.